A trial for Beyond the future hit the PSP/PS3 stores some days ago. The gallery also had a really big update with many new pictures. It's finally time for Rikuto's birthday which also concludes Hotokensers wallpaper special. Upcoming dress-up game FabStyle recetly updated their website. The guys in he game got their own character profiles. Right now I'm leaning towards the first or last guy, but we'll see when the game comes. LiarSofts old games Souten no Celenaria, Sekien no Inganock and Shikkoku no Sharnoth are getting re-launched with new visuals and this time fully voiced! I'll definitely play Sharnoth and Inganock! 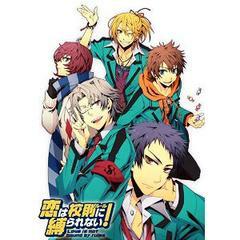 TOKYOヤマノテBOYS ~ SWEET JELLY BEANS is scheduled for the 13th January next year. Pashet, who I wrote about in my last news post is up on OZMAFIAs website. And it turns out he is actually a she. After many discussions about the possibility of crossdressing/misreading the text, a 4koma was posted on the website and I no longer have doubts, this puss in boots is really a girl. The description also says "female knight" but who knows? I'm pretty open to yuri myself and if her route is indeed a love-route I won't have a problem with it at all. The story page was also updated and I felt I had to post the first couple of lines here, because they are so touching and sweet. The love we were supposed to have ended before it even begun. The above is written in Kyrie's POV, which is interesting since in the character data he calls himself a sadist and got a yandere-feeling to him. Maybe he is a got a soft heart underneath? DRAMAtical Murder got updated with voice samples! Koujaku got some kind of accent which I'm not really digging. This is gonna take some time to get used to. Noise was put up today, his voice being a bit darker than I expected, but overall okay, he is still the guy I'm most interested in so far. 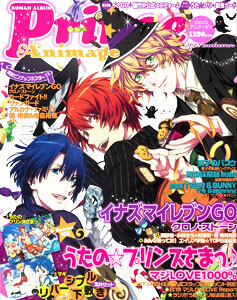 Scans are here and here. Wedding rings! Naked Ikki! Ukyou blushing! You can tell it's gonna be great. 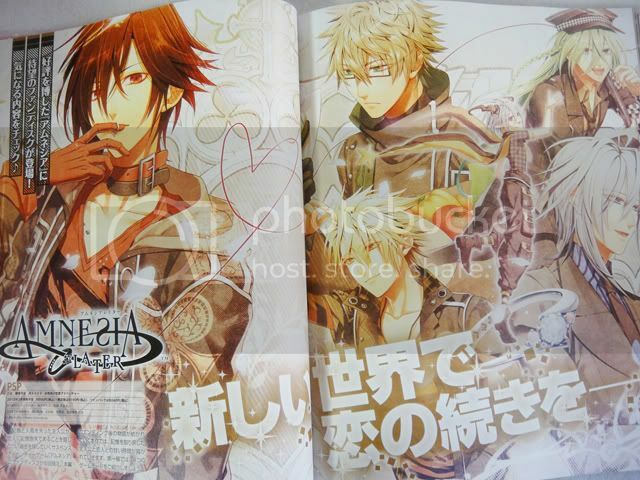 Continuing on the last mentioned topic, you can now buy A4 illustration sheets at AmiAmi with the Amnesia guys signature on here. I'm kind of tempted to buy and put up in my apartment as posters lol. Arcana Famiglia is releasing the ending songs for the game on 21th December. 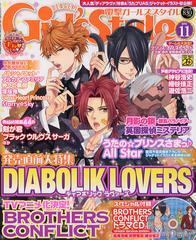 An official fanbook is also coming out the same month, together with a pocket book and a comic. 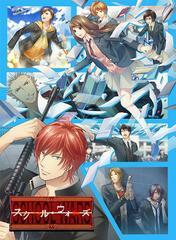 A fourth Drama CD will be released after new year's. 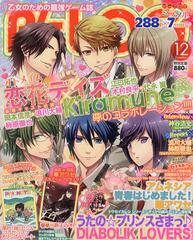 A character poll is up for Kami Kimi. Go and vote for your favorite! 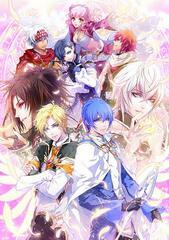 PSP game Musketeer will get a artbook. Release date is 22nd December. The Wand of Fortune 2 Drama CD will be released in a few days. The character poll just ended and the winner is Est! Thanks for your update lists! It is a big help for me, who, usually forget to check the official website. I want to play Shiei no Sona-nyl lately, but as you can see, there's no progression after the 1st chapter. I wish I have more time. I haven't play Sekien no Inganock, but I love the main hero there. My sister also haven't end that game since years ago. Definitely, KamiKimi! It have good story, but I might prefer peter pan too if I can do both. So far, KamiKimi always leads me to full of tears climax but end with a joy. I'll try out KamiKimi later then! I've seen many good reviews and I'm a sucker for sad love stories, so it sounds like just my type of game! (;´･ω･`) How do you feel about it? I've only played a few routes and so far the game is interesting and well-written...which reminds me I have to continue the game soon. And yeah the art is really pretty! I wish I know who the artist is...the art style looked similar to Kanuchi's and Death Connection's art. Oh, it's okay. And I might be wrong but based on my interpretation, fandisc is all fanservice and raburabu and focus mainly on the relationships while sequel shows the continuation of the actual plot and story. 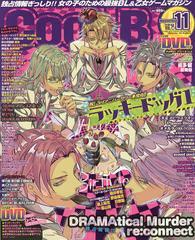 DMMD~! I haven't played any of Nitro+Chiral's games in such a long time @_@ I don't usually play BL games unless they seem interesting. The pacing is so different from eroges or otome games. >_> I can't say I liked Lamento that much (it draaaaged at places) and Sweet Pool was WTF a lot (but surprisingly really good in the end. Just....really different XD). For some reason, Clear really catches my attention. I don't know why. I think it's how he seems so out of it. Clear seems really interesting! I was pretty pleased with his seiyuu as well and honestly, I think we all are wondering what he looks like under that mask! You should finish Sweet Pool if you have the chance! It's not for the faint of heart, but at the same time it actually it wasn't as bad as, say, Saya no Uta (which I got flashbacks too). Things get a bit freaky, but not actually too gross/violent/weird. And the ending was really worth it. Just be warned, prepare to cry if you're easily depressed.